Stay informed about the initiatives and activities of partner debate organizing groups worldwide. 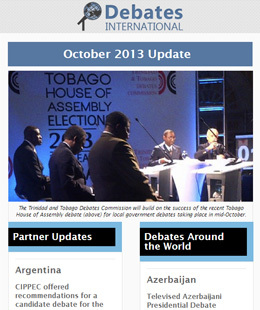 Browse news and analysis on candidate debates from the international press. And read newsletters from the Debates Network. This page offers an archive of newsletters from the Debates Network, which include member updates and debates in the news.